Only days from now we will be saying goodbye to summer, and from the end of September we will be welcoming Autumn. Now that everybody is anticipating for the weekend, I am sure some of you are planning on what to do over this bank holiday. Some of you might plan on going for the Notting Hill Carnival taking place on the 28th August until 29th August, but some of you might want to escape the crowded city for a day and travel outside of London. 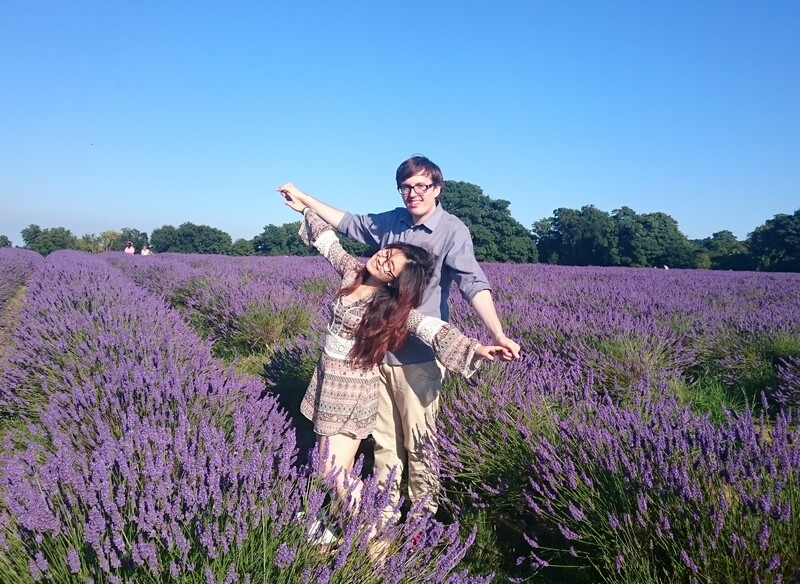 In the beginning of August, we visited the Mayfield Lavender Field, located at North Surrey Hill which only takes maximum 90 minutes away from London Victoria Station, by Southern Rail. We advise you to check the best travel option in terms of which station to get off from because you will need to take a bus (usually bus 166 if you get off at either West Croydon, Woolpack, Epsom, or Banstead) which stops at bus stop Oak Park right outside the gate. If you want to avoid the hustle you can always take an Uber from the rail station which only costed us £7.00 one way, or drive for 50 mins from London via A3, A237, or A23. This weekend or the week after would be the last chance to visit the Mayfield Lavender Field because for this summer it is only open to the public until the 14th September 2016. The view of the lavender field is spectacular! With the admission fee of only £1.00 per person (only applicable to adults aged 16 and above), you can enjoy the 25 acres view of lavender blooming everywhere , and we’re sure everyone is excited to take memorable pictures whilst having a nice stroll. Although personal photography is permitted, professional or commercial photography needs advanced permission, and you will be asked to pay the appropriate fees if you wish to access the farm to photograph out of normal hours. Mayfield Lavender Field is a private land. Therefore any fees paid for commercial or professional photography will go towards the farm maintenance. The farm is open all week from 9 am to 7 pm, though the last entry is at 6 pm. By the main entrance to the lavender field, they also provide refreshment and snack stalls if you feel peckish. If you are planning to purchase lavender based products and plants as a special gift for yourself or for your beloved ones, you could stop by at Mayfield Plant Nursery & Shop. Bare in mind that it is located 3.2miles away from one another (rought about an hour walk, or 20 mins bus 166 ride), therefore it is best to go on their website and view the range of their products before planning your visit to the shop. For more details you can always contact them via email, Facebook, or twitter from their website for more information. We hope everyone will have a pleasant bank holiday, don’t be shy and let us know what you will be doing over this weekend! We will leave you now with some of the pictures we’ve taken during our visit to the lavender field. Till then….